For the first time since the rumour mill spun up for the new iPhones, a render has leaked showing off what's claimed to be the brand new 6.1-inch iPhone X for 2018.
iPhone XI: How can Apple improve the iPhone X? The iPhone X for 2018 in a 6.1-inch format has leaked many times already, but this is the first time we're seeing it – albeit in render format. 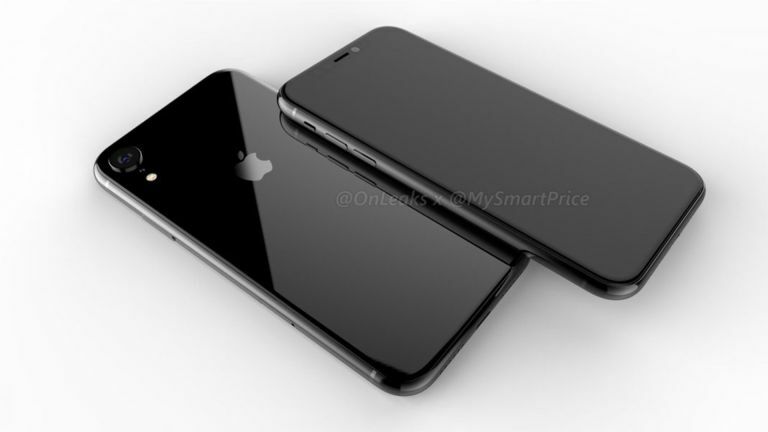 The renders come from MySmartPrice and have a nod to reliable leakster @OnLeaks. Of course this could just be a render made from the leaks so far, confirming nothing. Or this could be the real thing. What we can see from the pictures is that the larger iPhone X with a 6.1-inch display does still have that now famous, or infamous, top notch. The phone is a little thicker than the current iPhone X with a larger protrusion on the camera, suggesting this will get an upgrade. The screen has had a few rumours to suggest it will be an LCD so as to save money meaning Apple will offer it for less than the current £999 model. Although a recent leak suggested this was going to be OLED, so don't stop cramming those pennies into that piggy bank just yet. Apple is expected to unveil up to four new iPhones for its usual annual release around September.